10101 Southpoint Court, Denton, TX.| MLS# 14058387 | Robson Ranch, Denton TX Active Adult community with 100 activities and clubs. Robson Ranch allows the resident to focus on an active mind and a busy body that extends ones live span. Ideal for "empty nesters". Golf Carts Rule. 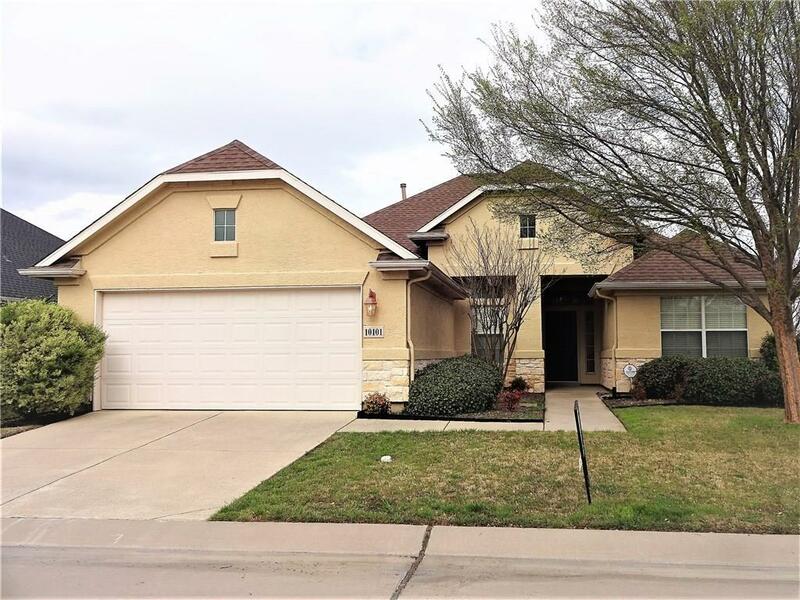 AVAILABLE MAY 1ST....PRESTIGIOUS EVER SO POPULAR ROBSON RANCH OAKMONT MODEL WITH 2 BEDROOMS 2 BATHS PLUS STUDY, EXTENDED PATIO AND GARAGE EXTENSION FOR GOLF CART ON THE 4TH TEE BOX OF THE PAR 3 WILD HORSE GOLF COURSE WITH SPECTACULAR SUNSETS AND LAKE VIEWS. . WASHER DRYER AND REFRIGERATOR INCLUDED. BE MESMERIZED BY THE LIFESTYLE OF ROBSON RANCH, THE CHARM AND DECLARE IT HOME BEFORE ITS GONE.